The A7M 'Reppu' was designed to be a replacement for the A6M aboard fleet carriers. Originally design started in 1940, but a lack of staff and work in upgrading other types meant that no real head-way took place until 1942. Though designed for the Mitsubishi MK9 engine being developed, the Naval Staff decided to go with the lower powered NK9K Homare. The A7M1 prototype took to the skies in May of 1944. Overall the aircraft was successful and in a short three weeks, it was handed over to the Navy for Service Trials. The aircraft was found to be a delight to fly and all pilots enjoyed its maneuverability and stability. Unfortunately, it suffered from the lack of power, thanks to the Homare engine. Work was stopped on the 3rd-6th prototypes while the Mitsubishi engine was installed in the 6th airframe. Thanks to the larger engine, the forward airframe had to be redesigned and in October 1944, the A7M2 made it maiden flight. The new engine made the plane and plans were made to start mass production. It was hoped that this would be the answer to the Hellcat and Corsairs that were flown by the enemy. However, a violent earthquake in December 1944 and saturation bombing by B-29s destroyed the engine plant. By the end of the war, only one production plane had been completed and accidents befell half the prototypes so that only the fourth, sixth and seventh were still airworthy. It looks like a Hasegawa kit and is boxed by Hasegawa, but it isn't. Fine Molds kits are just a tad rougher around the edges and build more like a short run kit than a mainstream Hasegawa one. These kits are intended for local consumption and as a result, all the instructions are in Japanese. 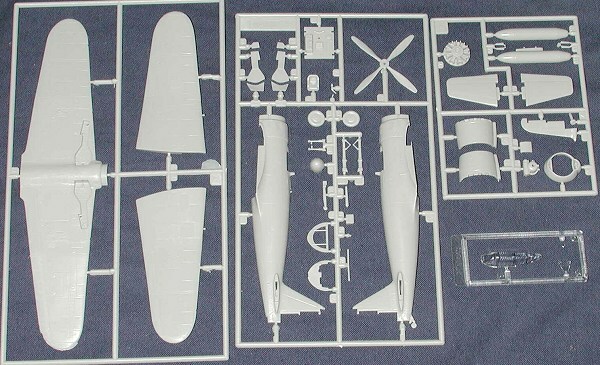 The kit has an interior as detailed as a Hasegawa kit, including the decals for instruments. A belt arrangement is shown for those who may wish to install them in their kit. It is the standard three-point harness that all IJN aircraft carried. There are no optional parts aside from a drop tank and the canopy is a single piece. 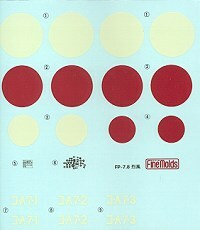 As I mentioned, the instructions are in Japanese but the images are enough to help out most modelers. Colors are the standard Gunze ones so deciphering the numbers shouldn't be too difficult for most of us. The decals themselves are typical Japanese in that they are thick and the white is actually a light ivory. Markings are provided for any one of the first three prototypes. I can only assume that the colors are Mitsubishi Black Green Uppers with yellow wing leading edge ID strips. The underside is a poser as I can't read Japanese. It could be that it is a light grey. It is also possible that it is orange as was typical for prototype aircraft. A third alternative is that it was bare metal. The box art is no help as it is a grey-shade rendition. I've not seen any color photos of an A7M so the mystery continues! One thing we can count on Fine Molds for is that they will produce some interesting kits. This one is no exception and should be a relatively painless build. Japanese Aircraft of the Pacific War, by Rene J Francillon, 1979, Putnam.